omg awesomess!! i love this pokemon! Awwww!! Cute!! Good luck in the contest!! That lo0ks awes0me! I love how you did the eye! vaporion! its so cute! good job. 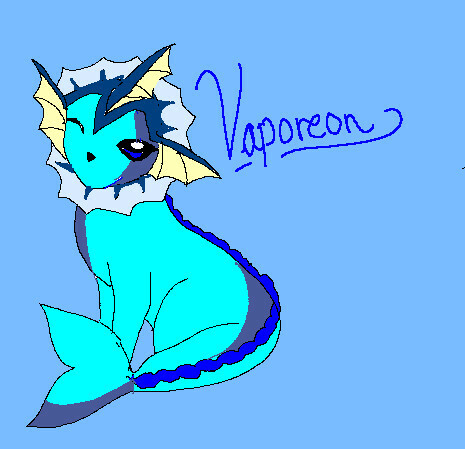 awh i love vaporean!! nice job good luck in the conest. I love all the evee uhh what ever that word is I have them all in the cards.